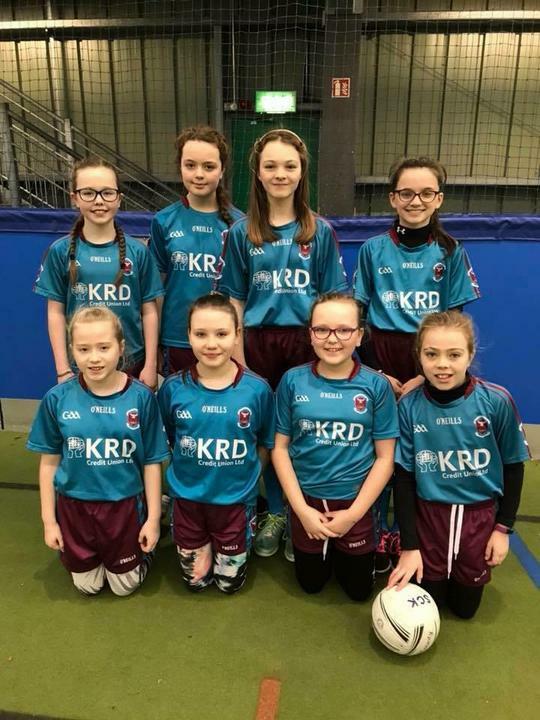 Well done to the girl’s football team who had a great day out at the south Derry Cumann na mBunscol 5 aside indoor tournament. They were delighted to make it through the group stages. Unfortunately they were narrowly beaten in the quarter finals.